Kogan’s attempt at a GoPro-rivalling action camera deserves praise. It doesn’t have the same image quality or super-sturdy build, but it’s fine for casual recording, comes with a bundle of accessories, and is much, much cheaper. The Kogan Full HD Action Camera wants to compete with the GoPro HERO3, the Contour ROAM 2 and Sony’s Action Cam. It’s a compact, fixed-lens video camera that can record Full HD, 1080p video at 30 frames per second, as well as 720p HD video at 60fps — smoother and smaller video files, at the cost of a slight drop in quality. We received the Black Edition of the Full HD Action Camera from Kogan, which is $139 plus delivery. A Silver version without any mounting accessories (apart from the standard tripod mount) is $20 cheaper. Kogan’s action camera reminds us very much of the Swann Freestyle HD — it shares the same lens-on-a-box design, with the Kogan’s lens offset to the absolute right (looking front-on). There’s no filter or protection on the front of the lens, so it might be prone to getting scratched if you’re not using it in the protective case. 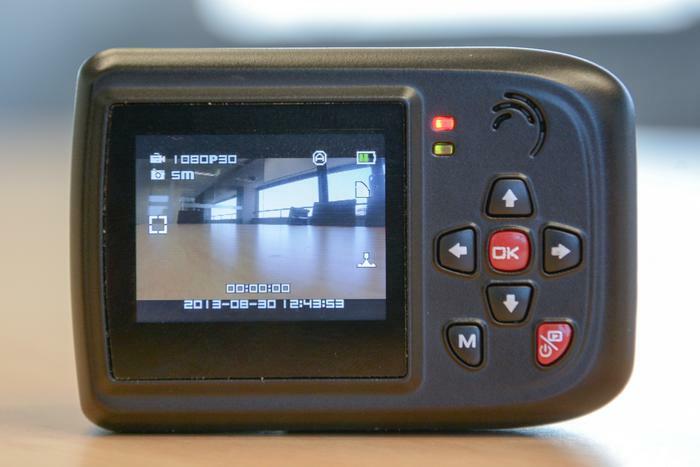 The front of the camera is bare apart from the lens and Kogan’s logo, but the top has two buttons for recording video or still photos, and the camera’s left and right sides respectively house various outputs (HDMI, USB and microphone input) and a microSD card slot (up to 32GB; a 4GB card is included). The Action Camera’s back has a few more buttons — five-way navigation pad, menu and power/playback mode toggle. 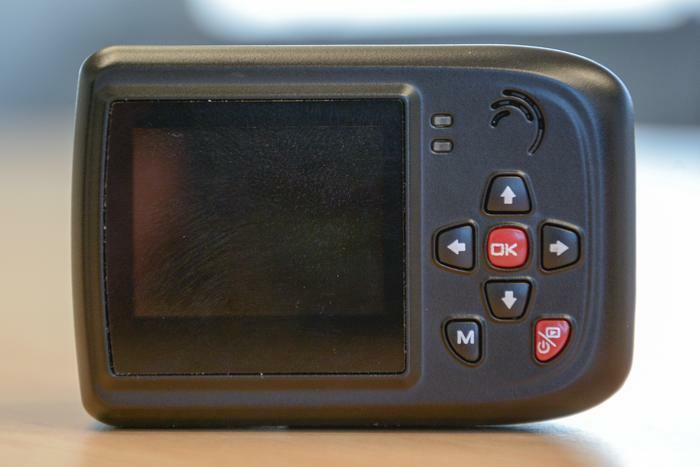 There’s a 1.5-inch, full-colour display built into the camera’s body, which is an optional accessory for the GoPro range, and which a Contour or Action Cam lacks. The Black Edition bundle of Kogan's Full HD Action Camera includes a variety of mounts — two sticky mounts, a suction cup mount, a roll-bar/handlebar mount, and a helmet mount. There's a 30m waterproof/2m shock-proof case included, as well, which is the only way to use any of the mounts — the camera itself doesn't have an internal tripod screw or mounting point. 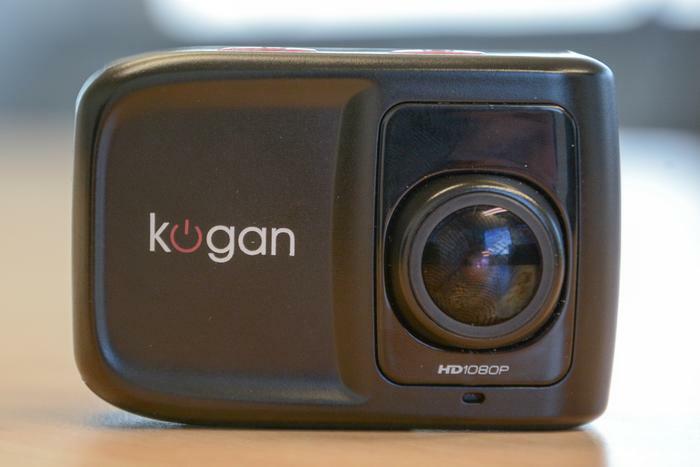 The menu system of the Kogan Full HD Action Camera is, surprisingly, pretty good. The menu of the Swann Freestyle HD lacked some features we thought were important, but Kogan has made its Action Camera a good purchase for a few niche uses — like as a dash-cam, thanks to the loop recording, motion-activated recording, and time lapse photo modes. The four menu panels for settings selection, Photo and Video adjustment. There’s even an upside-down option to flip the menu and video output when you’re using the camera in an inverted mount — like using the included suction cup to put the Kogan cam on the top of the inside of your car’s windscreen. The menu is well laid out for a budget action cam, the features are clearly labeled, and the entire setup is both simple and powerful. The four panels for Setup, covering options for both video and photo exposure, recording modes and orientation. When it comes to actually recording video, you’ve got a few options. The Full HD Action Camera from Kogan can record video in either 1080p30 or 720p60 HD video resolutions, and WVGAp60, WVGAp30 and VGA resolutions are also available. We generally opted for 1080p30 for the best possible video quality, although 720p60 may be preferable for anyone using the Camera for any proper action sports. We would have liked to see a 1080p60 video mode as available on the GoPro HERO3. Video quality, on the whole, is pretty good. It’s not great — not pin-sharp like filming with a digital SLR or compact camera, but the output is largely similar to a high-end smartphone camera. We’d say GoPro has the edge in video quality with its Black Edition of its HERO3 action camera, which can do 1080p60 and 4K video in addition to the resolution that Kogan offers, and has a sensor and video processor package that does a better job in low light. If you’re looking for something that’s good enough for a casual trip to the snow, or as a dashboard security camera for your car, the Kogan Action Camera does a perfectly good job. A 5-megapixel, 4:3 photo snapshot from the Kogan Full HD Action Camera. For time-lapse photography or casual party-snap photographs, again, the Kogan does a pretty good job. It’s not going to rival any proper still or video camera any more than a smartphone might, but it gets the job done and the results it produces are decent if unspectacular. The Kogan Full HD Action Camera is priced aggressively, and in our opinion it outperforms its price tag — you get a significant proportion of the features of any GoPro, Contour, Sony or similar action camera, for as little as a quarter of the price. If you need an action camera, or can find a use for one, it’s an attractive device.